Acclaimed to be Canada’s most accomplished male dancer, Frank Augustyn was trained at the prestigious National Ballet School of Canada and was invited to join the National Ballet Company in 1970. He was promoted to principal dancer in 1972. In 1973, he and Karen Kain won a special award for the best pas de deux at the International Ballet Competition in Moscow, dancing the technically demanding role of the Blue Bird pas de deux from The Sleeping Beauty. That win catapulted Augustyn and Kain to instant stardom, and they enjoyed a fabled partnership during their performing years. Throughout his illustrious career Augustyn danced all the major classical roles as well as a number of significant roles in contemporary repertoire. He established himself as a guest artist and danced in nearly every major city in the world with companies including, Boston Ballet, Royal Ballet, Turin Ballet, The Royal Winnipeg Ballet, Shanghai Ballet, Beijing Ballet, Berlin Opera Ballet, Bolshoi Ballet and Kirov Ballet. He has worked with the most highly celebrated choreographers including, Rudolf Nureyev, Erik Bruhn, Frederick Ashton, John Cranko, Hans Van Mannen, Maurice Béjart, Nicholas Beriozoff, Rudi van Danzig, Jose Limon, Kenneth McMillan and Glen Tetley. Recognized for his outstanding contribution to dance, Frank Augustyn has been honored with numerous awards of distinction including, Honorary Doctorate Degrees from York University, McMaster University in 1979 and Trent University in 2003 where he was the 2000-2001 Ashley Fellow. In 1979 he was bestowed the most distinguished title Officer, Order of Canada (O.C.) for outstanding achievement. 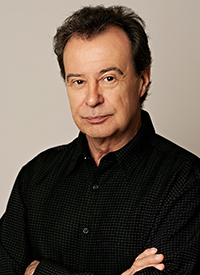 Frank Augustyn has been the artistic director of Ottawa Ballet and Le Gala des Étoiles (an international dance event). He has authored Footnotes, Dancing the World’s Best Loved Ballets published in 2001 and was nominated as one of the top ten children’s best books in 2003 by Canadian Hackamatack Choice Books. His Dancing from the Heart: A Memoir was published in 2000. He co-produced, co-wrote and hosted a documentary series Footnotes, the Classics of Ballet seen on Bravo United States and Canada. Frank Augustyn became the Director of the Dance Program at Adelphi University in 2000, was granted tenure in 2006 and appointed Chair of the Dance Department in 2007.